Feuding city politicians are being accused once again of shirking their responsibility to take good care of the legacy artist Edvard Munch left to the city, when he willed his own vast collection of his priceless artwork to Oslo upon his death in 1944. The museum that finally opened more than a decade later at Tøyen, on Oslo’s east side, has been deemed inadequate and in need of replacement for years. Now, after months of political bickering, the quest for a new Munch Museum seems back at the starting point, after the Progress Party withdrew its earlier support for a controversial high-rise museum proposed for a site next to the Opera House on the waterfront at Bjørvika. 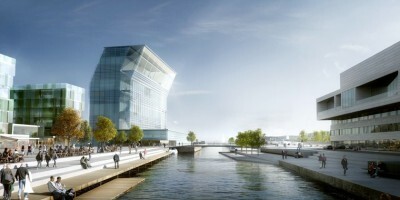 Late last week, the new city council formed after elections in September formally agreed to halt the Bjørvika project, known as “Lambda,” and consider proposals for either a new museum at the current Tøyen location or within the National Gallery downtown, itself due to be vacated when a new National Museum is built on the western waterfront at Vika. 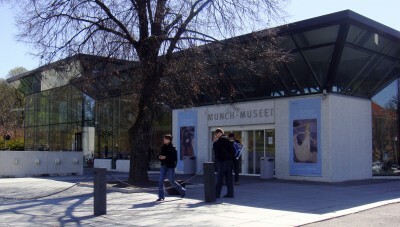 “Now it’s more unclear than ever what will happen with the Munch Museum,” politician Eirik Lae Solberg of the Conservatives told newspaper Aftenposten. He’s still not completely giving up on the Bjørvika location. Only one thing is clear: It will be several more years before new, modern accommodation is made available for Munch’s art. Kjersti Nerseth, president of the Norwegian architects’ association, questions whether city officials are capable of overcoming their differences and making a decision that’s best for the city and Munch’s legacy. Nerseth, noting how the politicians’ calls for architectural competitions end up with winning entries not being built, called the entire process “embarrassing.” She has no faith a new call for designs will be successful. They noted a pattern over the years of how the city has handled both Munch and his art poorly. Not only won’t city officials agree on a new museum, their funding for the existing museum continually falls short and its two biggest sponsors are both foreign: Idemitsu of Japan and E-on Ruhrgas of Germany. In a country made wealthy by its own gas and oil, the architects think that alone is embarrassing as well. Marianne Borgen, a city politician for the Socialist Left party (SV), noted that “we do all agree on building a modern and future-oriented Munch Museum.” The new agreement to now examine Tøyen and the National Gallery as its proposed location, she claimed, “is a step along the way.” The city council is now supposed to propose a new location by July 1, just before city politicians head off on summer holiday.